The PERT Consortium has a vibrant social media community which serves as a great way to communicate with fellow PERT members, hear the latest consortium news, and share cases, advice, and experience, and learn about recent advances in the field of venous thromboembolic disease. 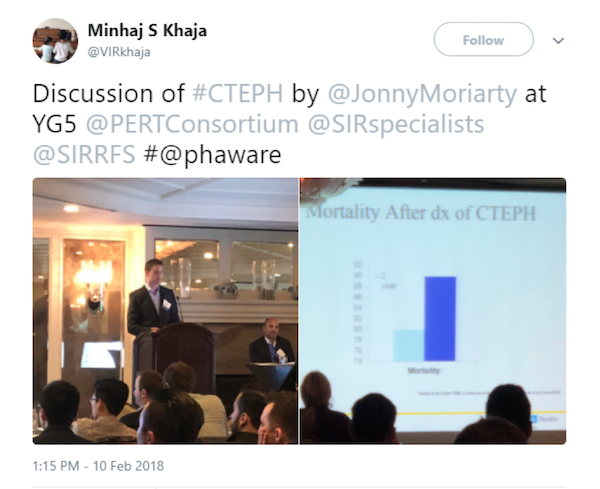 Dr. Moriarty, from UCLA, speaking about Chronic Thromboembolic Pulmonary Hypertension, an important consequence of acute pulmonary embolism, at the Clinical and Contemporary IR conference on Saturday, February 10, 2018. Sparking pertinent debate in the twittersphere regarding cancer screening for idiopathic pulmonary embolism cases. 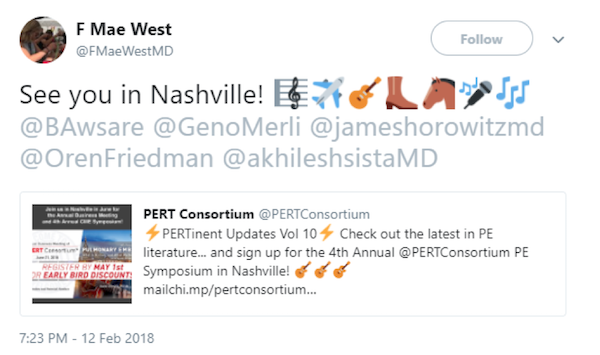 Dr. Mae West is already dusting off her cowboy boots and hat…There is great excitement for the 2018 PERT Consortium meeting in Nashville, TN. 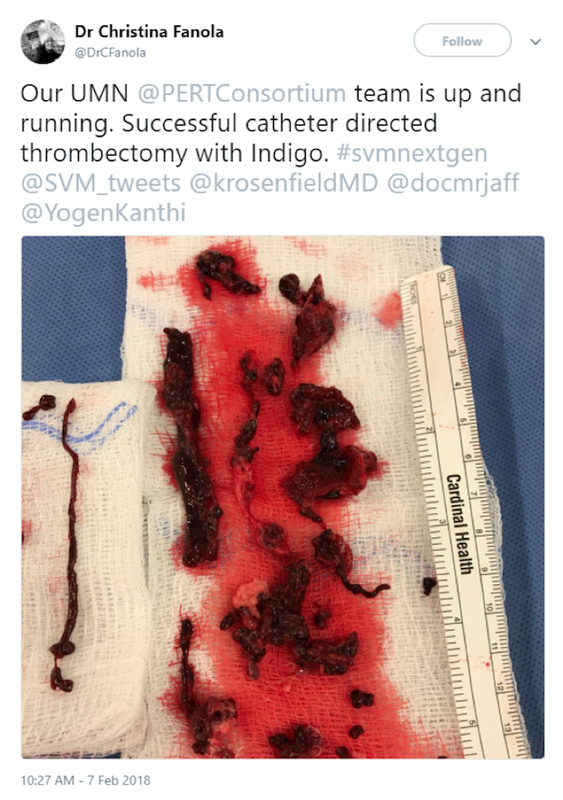 Dr. Christina Fanola, at the University of Minnesota, did a very successful catheter directed thrombectomy case. 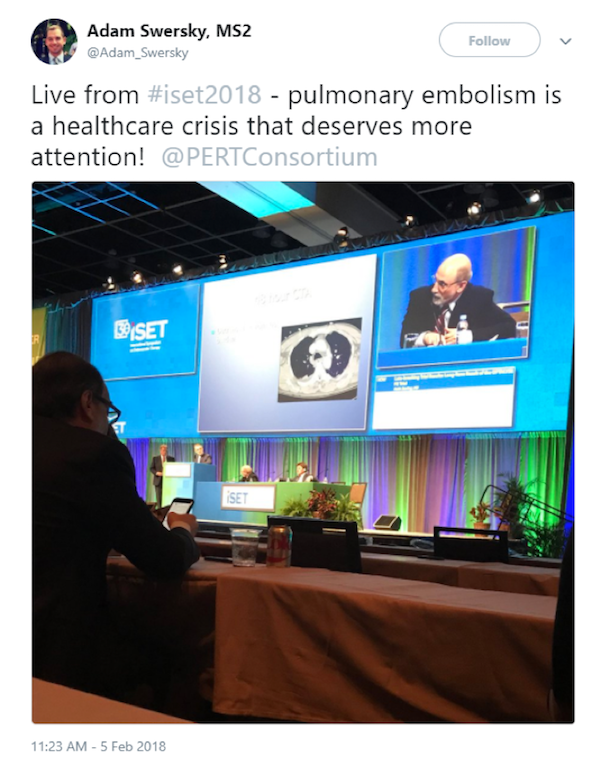 Dr. Ken Rosenfield discusses the national healthcare crises that is pulmonary embolism and the important role of PERT at the 30th Annual International Symposium on Endovascular Therapy meeting (ISET).